Goal: to encourage and assist local businesses to bid on government contracts. As one of the Bay Area’s largest employers, the Port of Oakland has established a certification process, surety bonds and financing, bidding/proposal assistance, and even a summer intern program for underserved teens to support local economic development. 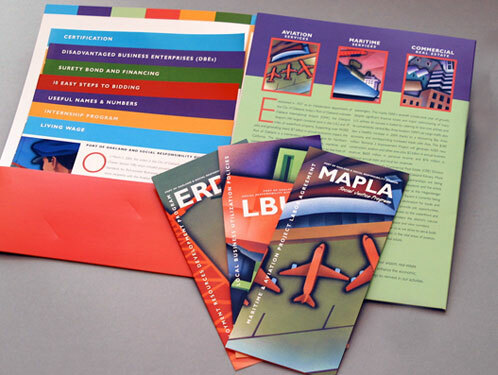 Jung Design created this packet of presentation materials to enhance public outreach to qualifying companies.